A “Hibernal Man Fire”—That’s what we called it. – 1 large circler pit dug out of the 3 feet of snow in our backyard. – 1 bonfire in the middle of the clearing. 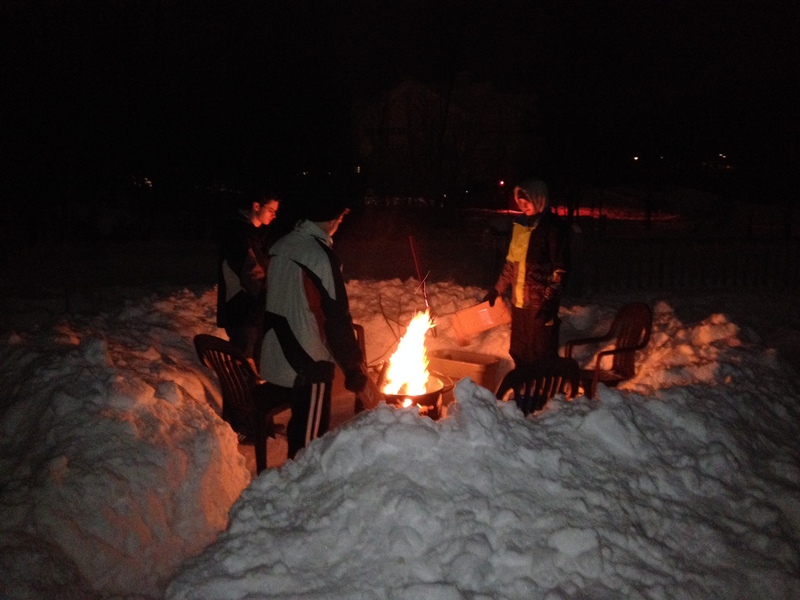 – 5 guys bundled in hats and coats gathered around the fire to read classic short stories. The guys and I had the idea for this “Hibernal Man Fire” while sitting in the library at school. We had all been feeling a little stir-crazy as the bitter winter months drudged slowly on, so we decided to do something about it. Yes, some good stories told around a fire in defiance of February’s crappiness was exactly what was needed (Plus, who doesn’t love fire any time of the year?). Traditions are so important because they are always relational—they are things we do together, usually to celebrate, or to remember, or to simply to keep life from becoming mundane. And frankly, our culture stinks at them. What do we do to celebrate important milestones?… hmm…get wasted on our 21st birthday? 1. A 15-year-old Adventure. This means that when you or any of your siblings turn 15, we’ll plan a weeklong trip in the wild. 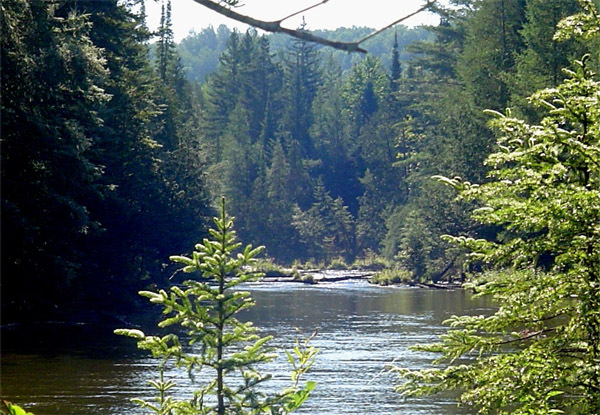 Maybe we’ll canoe down Michigan’s Jordan River, or hike the Porcupine Mountains in the Upper Peninsula, or explore South Manitou Island, but wherever we end up going you can count on being challenged—and you might just learn a thing or two about the outdoors (and maybe about yourself, too). We’ll bring a book (preferably one of the Chronicles of Narnia ☺) to read around the fire at night before crawling into our really cool Cabelas Alaskan Guide tent (which I’ve already purchased in anticipation of our camping adventures). 2. Birthday gifts. This may sound fairly typical, but let me explain. I learned a few years ago that expecting great gifts is a surefire way to have a disappointing and/or insignificant birthday. It is way more fun to give awesome gifts to the people you care about (or to complete strangers…either way). So, while your mom and I will still probably give you a present or two, your main gift will be $100 to spend any way you choose, as long as it’s for other people. Be creative. Be generous. Have fun. (But be careful, this is how our family ended up with our crazy dog, Piper). 3. It’s-Not-About-You Trip. I heard about my principal’s family doing this and definitely want to copy their idea. When you turn a certain age, your mom and I want to take you on a mission trip to spend a week serving others. It’s easy for young teens to think that the world revolves around them…but it doesn’t. In fact, your life isn’t even about you. Seeing the conditions in which so many live around the world will challenge you to examine our culture’s concepts of entitlement, materialism, and self-centeredness. 4. Cousin Olympics. Ever since we had our first Cousin Olympics almost ten years ago I’ve been excited to plan this annual extravaganza for the next generation. We’ll spend three days at grandpa and grandma’s competing in all kinds of team activities such as archery, board games, relay races, swimming, dodgeball, kayak races, and many more. Traditions like this contribute to strong and healthy friendships between family members—friendships that last a lifetime. 5. Rite of Passage. Your uncles and I have been talking about having some kind of ceremony when you reach a certain age. Here’s the general plan: you’ll have about three hours to round up as many downed limbs from the woods as possible to collect in a giant pile. When time’s up, we’ll light the mound on fire (safely, of course ☺) and spend the evening gathered around sharing stories and advice. Each adult will tell one “success” story and one “failure” story as a way of offering guidance and advice to the younger one(s). At the end of the night we’ll give a blessing and welcome the new adult into the tribe. There are so many other great traditions I want to start with our family and friends that I don’t have space to write them all down here (Note: Please feel free to comment below with traditions you currently have or hope to start in the future). Our culture has lost its sense of ritual; we no longer think of identity in terms of community, but only as individuals. Creating traditions is a way of bringing us back together, of shaping a culture that values people more than things, and of making memories with the people we love. A good tradition can be a mini-revolution of life and friendship, and all the other good things in life worth coming together to celebrate. This entry was tagged faith, family, fatherhood, fun, manliness, tradition. Bookmark the permalink. I really like this idea, Kayla!